The total market size for organic packaged food and beverages in Brazil in 2017 is US$86.6mn, making it the 24th largest market in the world by value. Per capita spending on organic packaged food and beverages in Brazil is US$0.41, which ranks as the 40th largest spending per capita in the world. The largest company by sales in organic packaged food and beverages is Usina São Francisco SA, which maintains 17.8% of total sales. It is followed by CIA Orgânica de Café and Apis Vida Indústria e Comércio de Produtos Farmacéuticos Ltda. 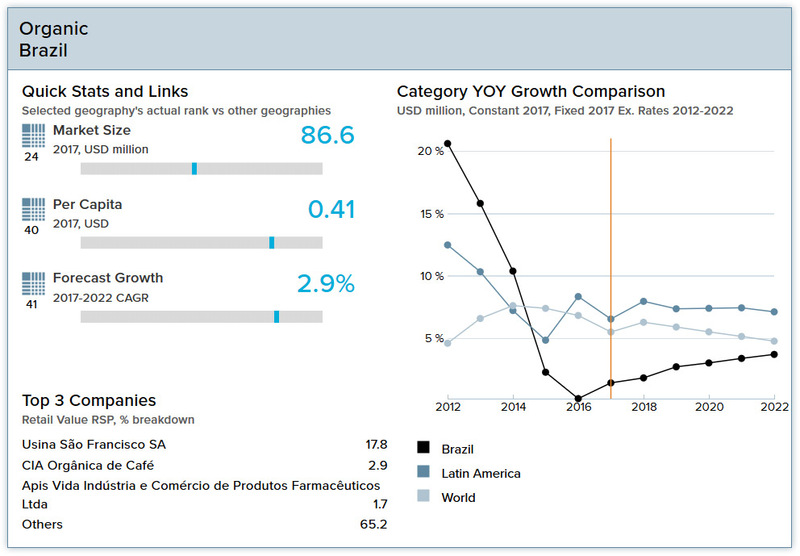 Organic packaged food and beverages in Brazil will see slow year-on-year growth of approximately 3% in 2018, below the rest of the Latin America region, which will experience approximately 9% year-on-year growth in 2018. Brazil maintains a market size for organic packaged food and beverages of US$86.6mn in 2017, which is 0.2% of global category sales. Within the Latin America region, Brazil is the leader in total value sales of organic packaged food and beverages. Brazil will experience slow forecast growth of sales of organic packaged food and beverages, at a 2.9% CAGR from 2017–2022. Despite Brazil’s challenging economic situation, sales or organic products continue to grow, driven by consumers’ increasing interest in healthy and sustainable products. Sales growth will continue in coming years, but the organic packaged food and beverage market is expected to remain a niche market for specialized domestic and regional manufacturers. Organic packaged food and beverages are growing in popularity but remain niche and are dominated by regional and specialized players. Baby food was the fastest growing organic packaged food category in 2017, and tea posted the strongest growth among organic beverages. Distribution challenges are major hurdles impeding the development of organic packaged foods in Brazil, as many manufacturers struggle to source certain ingredients and forgo using third-party suppliers. The organic packaged food landscape is highly fragmented. Apis Vida Indústria e Comércio de Produtos Farmacéuticos Ltda is the leader in packaged food, with a 3.3% value share in 2017, due to the popularity of its organic honey. Usina São Francisco ranked first within organic beverages, with a value share of 36.9% due to its wide product portfolio that includes chocolate-based flavored powder drinks, fresh ground coffee, and fruit/vegetable juice under the Native brand. Organic packaged food and beverage sales are projected to post low-to-moderate annual growth through 2022, driven by increasing health- and environmental-consciousness but constrained by Brazil’s weak economy. In the face of inflation and high production and distribution costs, manufacturers will struggle to keep unit prices at affordable levels for many Brazilian consumers. Organic edible oil is projected to record the fastest sales growth rate among organic packaged food through 2022, and organic tea is projected to be the fastest growing organic beverage category during the same time period. Convenience is increasingly important to Brazilian consumers, and health and wellness product manufacturers address this trend by offering nutritious ready meals and snack options. After years of consumers demanding products with imported “super food” ingredients like cranberries and blueberries, locally grown Brazilian ingredients like jabuticaba, acai, guaraná and yerba mate are becoming more popular in health and wellness products. Consumers’ increasing health consciousness is driving increased demand for products that are positioned as reduced-sugar, low-calorie, “free from” and organic. 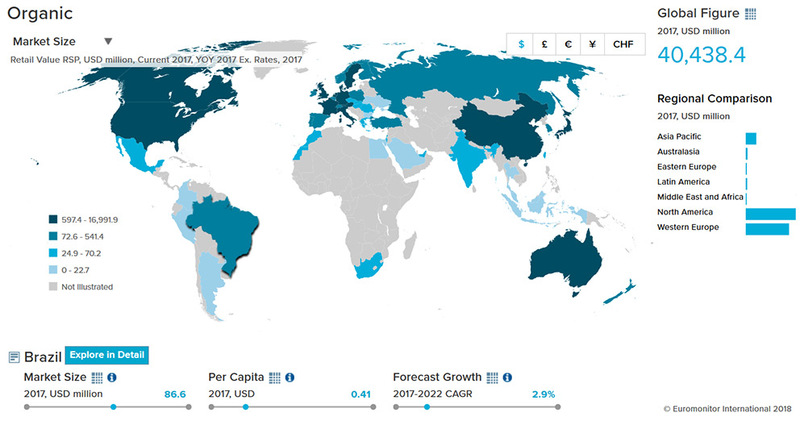 After several challenging years, Brazil’s economy experienced a feeble recover in 2017, and annual real GDP growth is projected to be 2.0% in the medium term. The gradual economic improvement is beginning to attract domestic and foreign investors, particularly those interested in investing in improving Brazil’s obsolete infrastructure, which is encouraged by the government. Brazil’s double-digit unemployment level will fall slowly during the medium term as real GDP grows and investment accelerates. In 2017 the Brazilian population reached 209 million—an increase of 34 million since 2000. Brazil’s fertility rate has been falling rapidly but it is still 1.7 children born per female. Demographers expect the aging process to accelerate in the future, with the share of those over 65 years reaching 13.6% of total population by 2030. Household spending in Brazil exhibits a sharp North-South divide. The Norte and Nordeste regions are the poorest, with average household expenditure around half that registered in the Sudeste and Sul regions. Brazil also has one of the most inequitable distributions of income in the region. Brazil accounts for more than a third of the region’s entire consumer market. Instrucao Normativa n° 16 of June 11, 2004. Legislation for rules for organic cotton products can be found in Instrução Normativa nº 23 (in Portuguese), published in the Diário Oficial da União - Seção 1, June 2, 2011, page 30. Instrução Normativa Nº 13, de 28 de maio de 2015 (CPOrg e STPOrg) (.pdf in Portuguese): Establishes the structure, the composition and the Thematic Subcommittee Assignments for Organic Production (STPOrg), Structure, Composition and Duties of Committees of Organic Production in the Federation Units (CPOrg-UF), and the guidelines for preparation of their internal regulations. The regulations contain the standards for production, classification, processing, packaging, importation, distribution, identification, and certification of the quality of organic products, of both animal and plant origin. The decree allows family farmers to make direct sales to consumers provided they have a registration with the regulatory body. In the event of a direct sale, no certification is needed = Participatory Guarantee System (PGS). Textile products from organic cotton were added in June 2011. 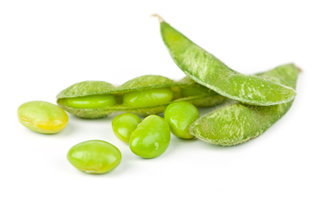 The system of evaluation of organic products' conformity changed January 1, 2011. From this date, all organic products sold in Brazil, including those imported, must be certified by an organization registered at the Federal Agency INMETRO (Accreditation Body approved by the Brazilian government) and the Ministry of Agriculture (MAPA). All operators interested in exporting to the Brazilian market should therefore ensure that as of the 1st of January 2011 their Certification Body has received this registration both at the INMETRO agency and at the Brazilian Ministry of Agriculture. - Register with MAPA to conduct direct sales without certification (primarily for those in the participant guarantee system). Only organic products that will be sold directly to the consumer will not need third-party certification. A list of accredited certifiers is available online as part of the National Register.